The proposed project consists of a new one-story, shell building designed to house a retail shopping center of approximately 10,500 SF. The shell consists of seven possible “future” tenant spaces. The proposed site area of approximately 70,000 SF is located south of the existing newly expanded Gas Station Market. 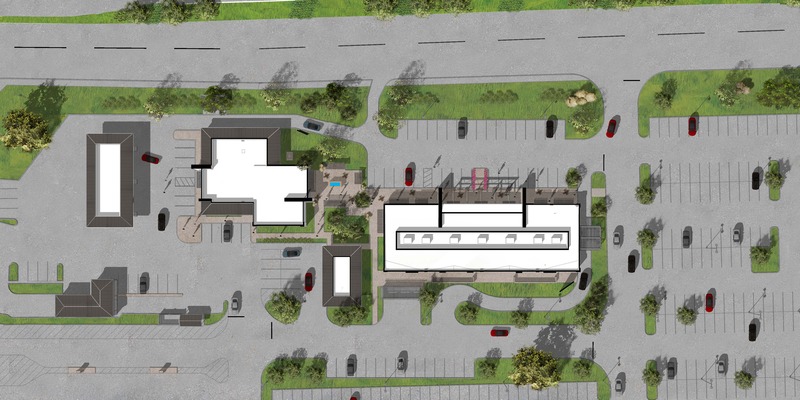 The proposed building will be connected to the Gas Station Market via a public plaza with landscaping, seating, and shade structures.